So! Or should I say, Sew! A Needle Pulling … an Ear Thread! Some things just stay with you. For one, lyrics to Show Tunes. 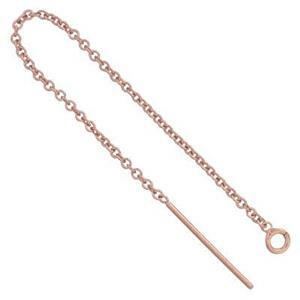 You’ll find our GFR6436 definitely unforgettable – 3 inch 14/20 Rose Gold Filled Ear Threads. Just the thing to wear when boring old earrings just won't do.